One of the best innovations at Walt Disney World isn’t isolated to one park, or one attraction. It can be found in all but one of the Florida parks! And, it doesn’t cost extra to use it! What am I talking about, you might ask? The Single Rider Lines available at select attractions! Sadly, there are also a limited number of attractions that offer this option. Those attractions are: Test Track in EPCOT, Expedition Everest at Disney’s Animal Kingdom, and Rock n Rollercoaster at Disney’s Hollywood Studios. However, these are three of the more popular attractions on the property! The time it saves can be as much a half the regular standby line. And, if you are willing to split up your party, you can all get through a bit quicker by riding as a single! There are currently no single rider lines available at The Magic Kingdom, but I wonder if maybe a few of those attractions might be able to support the concept? I also am curious to know why they don’t exist at all in this park. My theory, it’s about FAMILY! The Magic Kingdom exudes the family atmosphere more than the other parks. So, maybe the idea of breaking up a family for a quick ride doesn’t lend itself to this park. If there were Single Rider options for The Magic Kingdom, what would you choose? What other attractions would you like to see Single Rider added to? Let me know! For now, I wish you all a Blessed and Magical Day, my friends!! Today, I want to take a trip in my imagination to my favorite park at Walt Disney World. 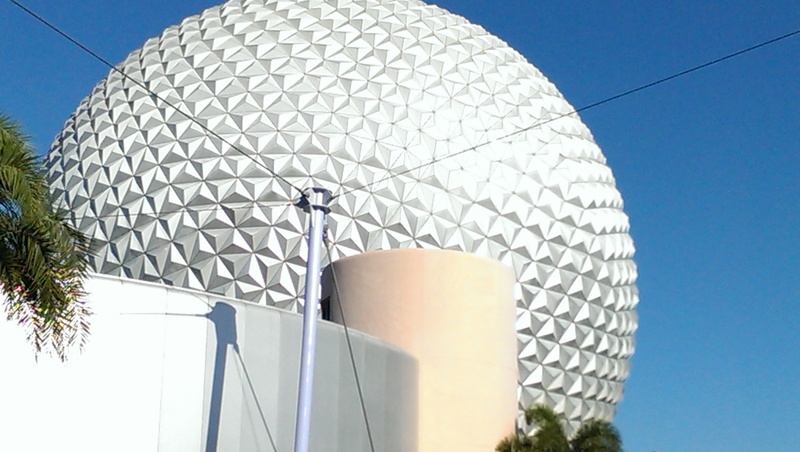 Welcome to Epcot Center! Yes, that is what I called it and will continue to call it the rest of my life! 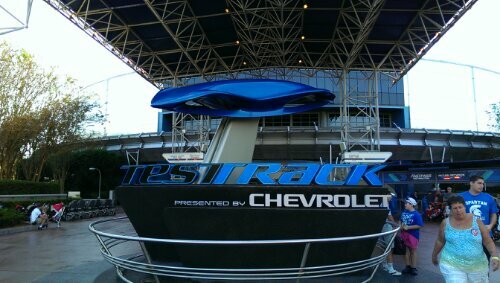 After making Rope Drop, I am headed to Test Track! I love getting it done early when crowds are more manageable, and I can design my car without being rushed! I have been on both versions and don’t know if I really have a favorite, but this is what we have and I’m going to enjoy it on it’s own merit! After the high speed conclusion, I am headed to Spaceship Earth! To me this is the definition of a classic Disney attraction! I don’t like some of the changes, especially at the end, but at least most of the history is in tact and enjoyable. Now to use my first Fastpass+ for Soarin’! Like many, I am hoping for an update to both the film and the theaters! Rumor of recent flyovers for filming are circling around, so I’m keeping my fingers crossed. Once my feet are back on the ground, it’s time to make a pass through Nemo. Now, I know my choice for lunch can be somewhat controversial, but I love Nine Dragons! The Five-Spiced Fish is awesome, and the service we received on last visit makes it worth a second glance. 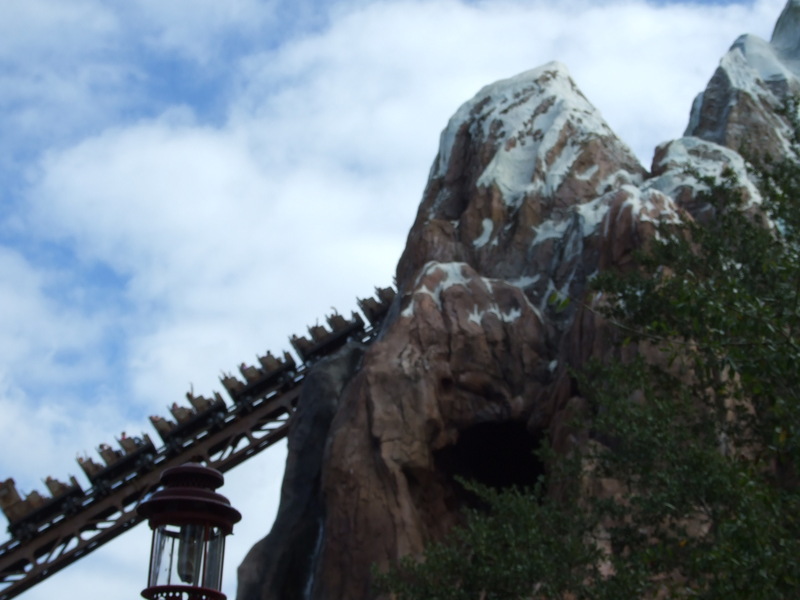 And, it’s time to tour World Showcase…first stop, Norway and my second FPP on Maelstrom! Love the ride and this pavilion is beautiful!! I hope they leave the ride alone and dowse all of these Frozen rumors! They can stick Frozen someplace else! Next stop, The American Adventure! My absolute favorite World Showcase stop! I don’t know about any of you, but I always cry at the sound of Golden Dreams! My patriotism comes out anytime I walk into this building. The Voices of Liberty and the Fife and Drum make the entire experience memorable and special! A quick pass through Morocco to look at some of the mosaic tiling, and Japan for the drummers, then off to Canada for the O Canada movie and some Off Kilter, love this band!! A trip back to the America Gardens Theater for Starship at the Flower Power Concert, then I am headed to Garden Grill for dinner before using my final FPP for Illuminations! After the fireworks, I am going to Rose and Crown for the EPCOT Wind Down before headed back to my room at Disney’s Beach Club Resort! Hey, If I’m using my imagination, I can do anything I want to, right? How would your day go? I’d love to hear about it either in the comments below or by email at threestrandswdw@outlook.com. Have a Blessed and Magical Sunday, my friends! Today took the threestrandswdw family to EPCOT! I went ahead of everyone else to have a few minutes to myself in my favorite park. Seems like yesterday when I walked into a two-day old EPCOT Center that looked new, smelled fresh, and had a unique theme that had never been done. And, while it looks a bit more worn, could use a fresh coat of paint, and maybe some updates on a few attractions, my soft spot for this Theme Park remains strong and true. I got to take my first ride on the classic Spaceship Earth! I miss the Walter Cronkite version, and didn’t get to hear any of the other narrators prior to Miss Dench. She does a nice job, but if you’re sleepy, be careful! From there, I went over to the musical fountain and shot several minutes of video. I love how the water responds to the music, and at this time it is using Christmas music. Nice touch! Once my family caught up, we rode Mission: Space. It’s a thrilling ride, even on the Green side of things. I love that Gary Sinise is the Capcom! He just fits the part! Soarin’ was next on the list and it did not disappoint! I do wish they would get a film more fitting to the Florida setting, and we all know rumors are circling. But, until I see it, I won’t believe it! The technology is looking aged, but it still delivers a nice, calm thrill! While my wife and mother-in-law went to “Livin’ With The Land” I took the kids and we did Figment at the Imagination Pavilion. Then, we met back up at “The Seas with Nemo and Friends” using FastPass+. On this day, that was a good choice for this attraction! My son and I then hoofed back to Imagination to enjoy Captain EO. I know, it’s old and dated. But, this is only my second time seeing it, and rumor has it may be the last chance I was going to get to see it. Finally, it was time for the other ride I had been waiting to see. We cashed in our FastPass+ at Test Track! I actually like the changes. It still does the same testing, but it is kind of a blind test. You don’t really see what’s coming, or how the car is going to respond. The road test was exhilarating! My only regret is that I ran out of time to ride it a second time!! It was time to head to the China Pavilion in World Showcase for lunch at Nine Dragons. I know much has been said about this restaurant, but I like to judge on my own experience without the influence of others. I will be writing later with details of what we all ate, and what we thought about each dish. Suffice it to say, we will likely return on future visits. 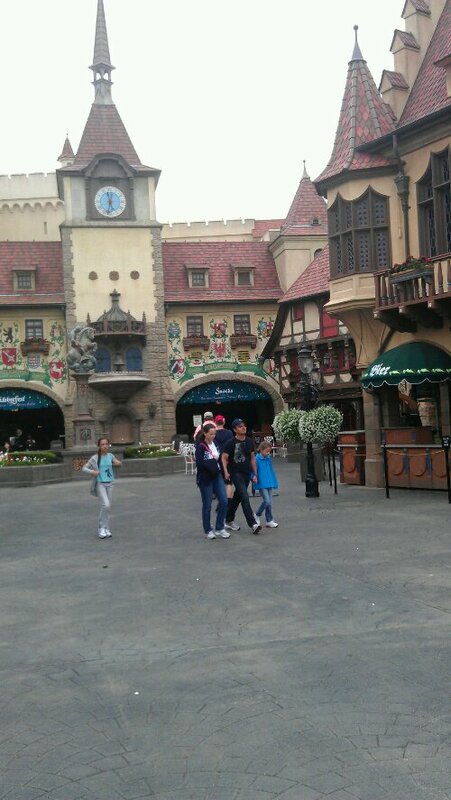 We all went our own way for a bit of time to wander different areas of World Showcase. I still enjoy “O Canada” and Martin Short enhances the movie, in my opinion. The visuals are beautiful and the music brings tears to my eyes (and I’m not Canadian). The highlight of the day was my first ever Candlelight Processional. Our narrator tonight was Whoopi Goldberg and I was very pleasantly surprised at her presentation of the Christmas Story as told in The Bible! As a Christian, it is important to me that this story is treated with respect and honor. And, Whoopi accomplished that task with grace and feeling. Nicely Done!! I chose to pass on Illuminations! Reflections of Earth on this trip. It’s been hotter than expected with higher humidity that you would think to see this time of year. And, considering my home is under a foot of snow at this moment, I think I’m doing pretty good! Tomorrow is Animal Kingdom day, so until may you have a Blessed and Magical evening!